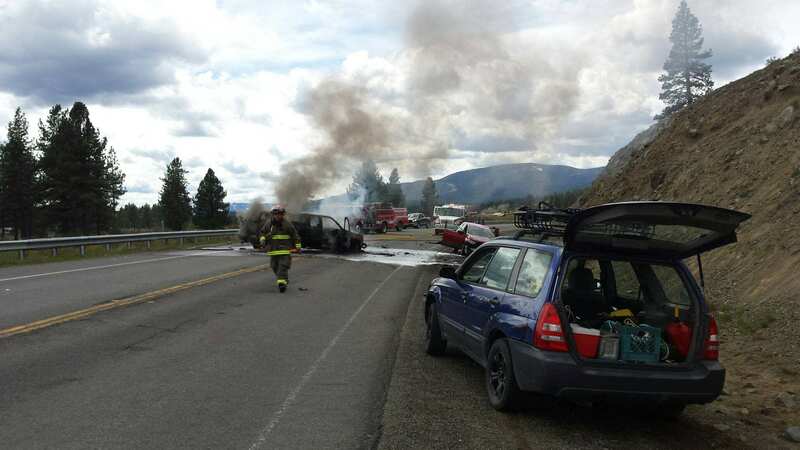 The aftermath of a vehicle collision west of Portola. 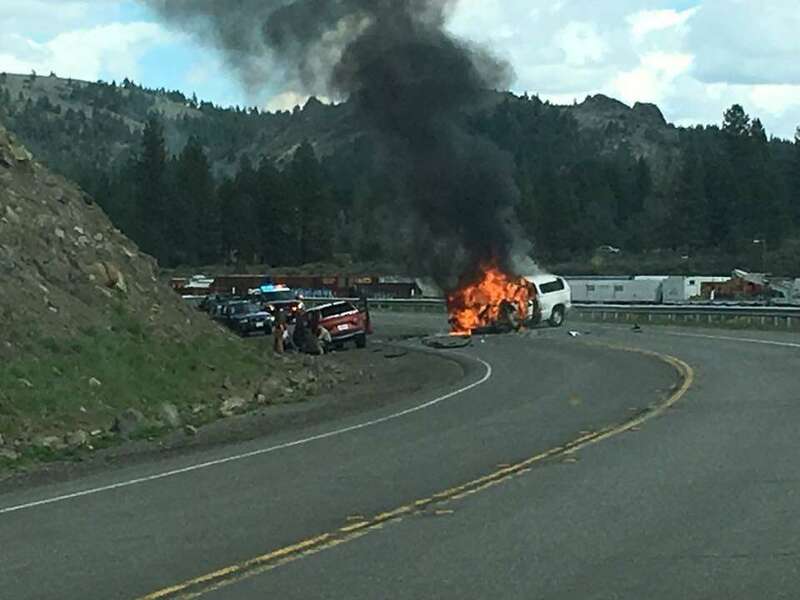 The woman injured in yesterday’s vehicle crash near Portola has been identified as Pamela Green, 75, of Portola. 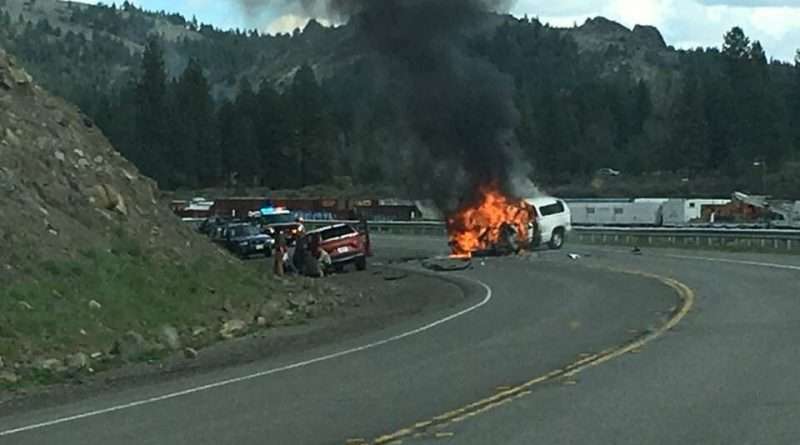 According to the CHP, she was driving her 2018 Honda westbound on Highway 70 at an unknown speed when her vehicle veered across the double yellow line and into the path of Guy Varner, 62, of Portola, who was driving a GMC eastbound at a stated speed of 55 mph. Both swerved to avoid a collision, but the left front of the GMC collided with the left front of the Honda. The GMC spun and then caught fire. Varner broke the driver door window and climbed out along with his dog. A passerby removed Green from her car due to fear of the fire spreading. Green suffered major injuries to her left leg and arm. Varner suffered no injuries. The women was driving the red Honda. We love you Pam. We’re all praying overtime. You get better soon. And we’ll be there for you when you’re back home.